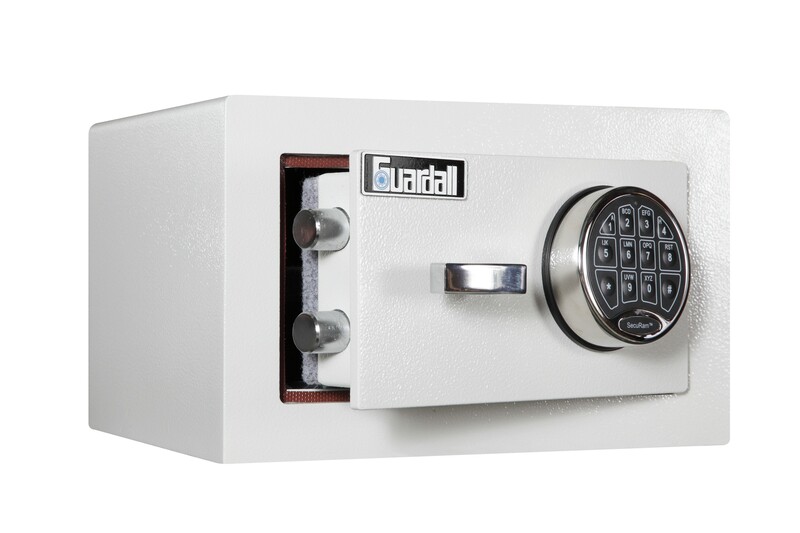 Guardall FP Series safes are ideal for the householder looking to secure valuables and also to protect documentation and valuables in the event of a fire. The FP Series is standard cream exterior wiht grey felt interior. We also supply in other finishes according to client requirements. 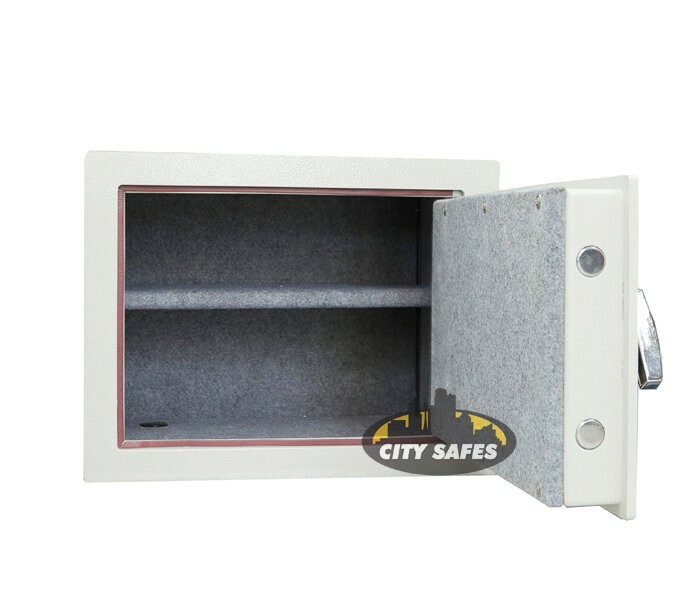 This safe can be fitted wiht additional shelves. 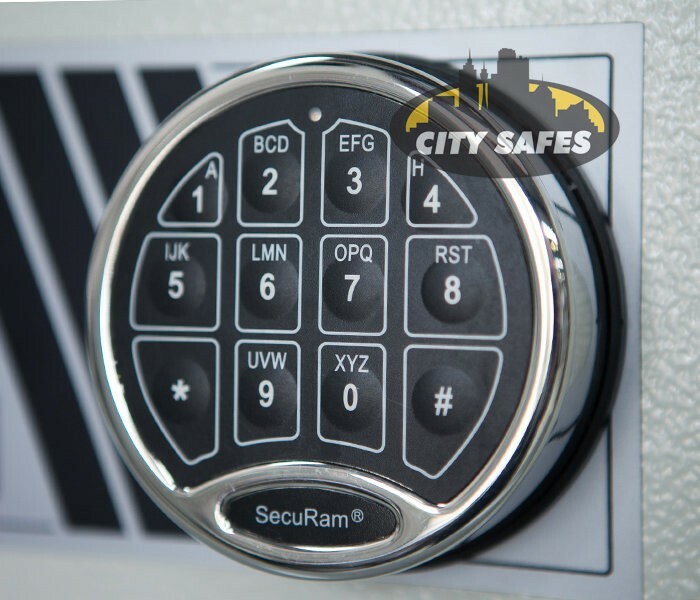 Upgraded locks can also be fitted with additional features such as time delay, time windows and mulitiple users.